Averda Morocco, a subsidiary of Averda, a company based in Dubai in the United Arab Emirates, has just signed a contract with the city of Tangier. Over the next 20 years, the company, which employs 3500 people in the Cherifian kingdom, will treat the waste of this city of more than one million inhabitants, located in northern Morocco. To carry out its activities successfully, it plans to invest 1 billion Moroccan dirhams, or nearly 92 million euros. This investment will be made, in particular, for the establishment of an “ultra-modern” site consisting of a waste treatment centre, an organic waste composting centre, a storage centre and biogas recovery and leachate treatment units. Part of the biogas from waste treatment should be used to produce the energy needed to operate the facilities. Is Averda expected at the wall? “We are proud and happy to deploy our services in Morocco and to set up this ultramodern site there… We deeply believe in the potential of Tangier and we are honoured to support Morocco in its development,” says Malek Sukkar, President and CEO of Averda. After the celebrations, however, we will have to get down to business. Rehabilitating the Tangier landfill is no small task. Located in the municipality of Menzla, 30 km south of the city, and covering an area of 200 hectares, it was created in 2016 to treat the waste of the city of Tangier, but also to satisfy other nearby cities such as Asilah, Gzénaya, the seaside resorts of the Diplomatic Forest or the new city of Ibn Battouta. The problem is that since its creation, the Menzla landfill has never really worked. 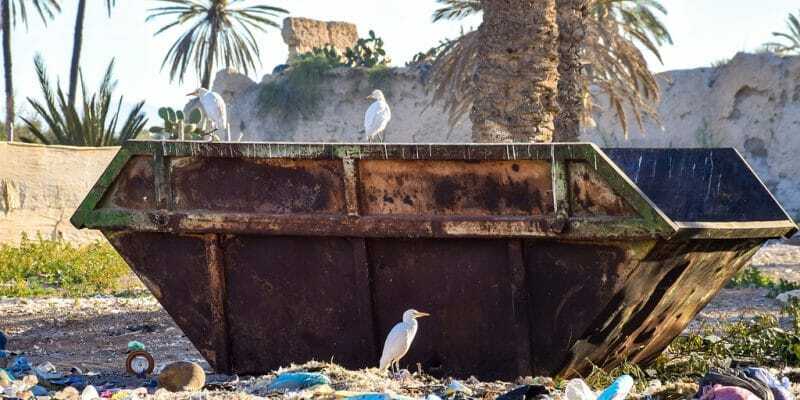 As a result, in June 2018, the odours and fumes from the landfill contaminate the air in the city of Tangier. The case then raises a lot of interest throughout the Strait. However, Averda has prepared for the challenge, especially as it plans to recruit 200 people to treat the waste from the Menzla landfill. The first results should appear in the coming months.